We are an unparalleled name, engaged in offering a premium quality range of Tech Braze Silver Brazing Foil. Area of Application: Sugar Industries, Telephone Industries, Fertilizer Industries, Oil Industries. Owing to our in-depth knowledge in this domain, we are specialized in providing Silver Brazing alloy in the form of foil. Backed by profound experience of our experts, we are an unparalleled name engaged in providing a high-quality assortment of Cadmium Bearing Silver Brazing Foil. We are engaged in providing the best quality range of Silver Brazing Foils. Our enterprise is actively engaged in manufacturing a wide collection of Silver Brazing Foil. - Silver Brazing Foils offered by us, are free flowing with narrow melting ranges. 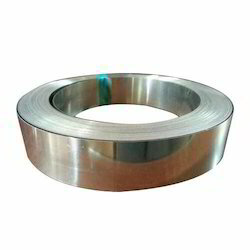 - Cadmium Bearing Alloys are known for their resistance to corrosion in chlorine, sulfur, and steam environment etc. We are offering silver brazing foils used in brazing copper strips, copper wires, aluminium strips, aluminium wires used by motors & transformers manufacturers. the standard thickness of foil is 0. 10mm and the width is 25mm & 50mm. Silver brazing foils have wide applications due to their versatility. Main fields of applications are the mechanical, electro mechanical industry, the household industry, custom jewellery and other art goods. 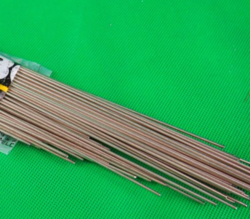 Brazing foils are available in different shapes up to 0.1MM thickness. We are offering silver brazing foils for brazing copper strips, copper wires, aluminium strips & aluminium wires used by motor & transformer manufacturers.